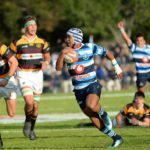 The South African U18 Sevens team is looking forward to defending their title in the Windhoek Sevens tournament this weekend. 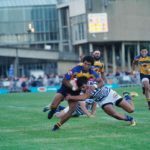 Kurt-Lee Arendse has revealed his delight at being given his first-ever call-up to the Blitzboks squad for the Vancouver Sevens this weekend. The SA Schools U18 Sevens team will look to continue their dominance at the Capricorn Group Sevens tournament in Windhoek next weekend. 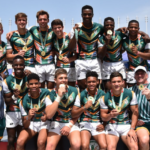 SA U18 Sevens coach Marius Schoeman says he is disappointed with his team’s fourth-place finish at the Youth Olympic Games in Buenos Aires.